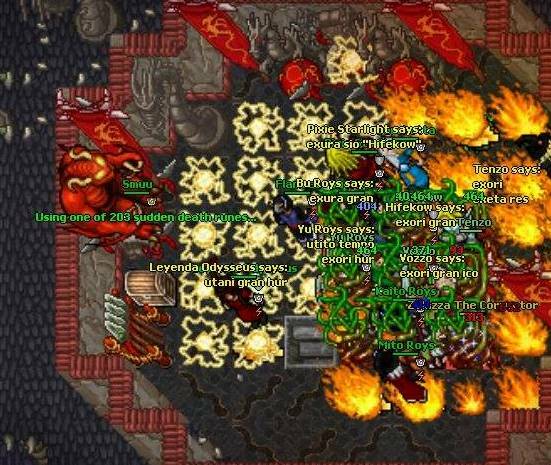 There are many raids in Tibia, more or less interesting. Let's focus on some of them - the most profitable ones. Orc raids on Femor Hills and Thais. 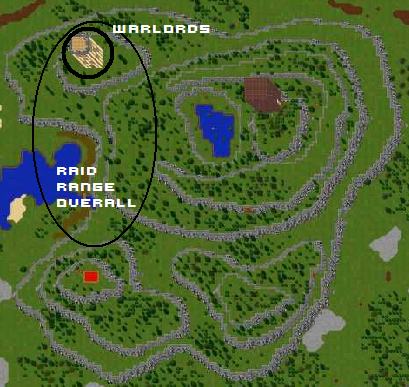 Orc raids on Zao steps and Zzaion. 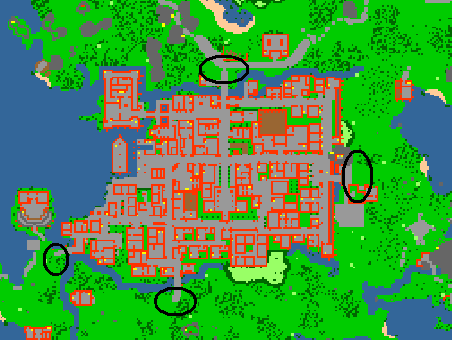 Main pirate raid on Liberty Bay. 1.Orc raids on Femor Hills and Thais. There is a chance to loot full amazon set during these raids. Note that the Thais lighthouse also gets attacked by orcs, but there are no proofs/screenshots of any amazon rares looted there. There are also rumours about the orc raid on Carlin (don't misunderstood it with thesmall attack added not long ago without warlords present). However if this raid really existed, it must have been long time ago, because there is no solid evidence that this raid still occurs. It's possible that it's been removed from game or is bugged. You may encounter it on Femor Hills, orcs raid the Whitewatch tower and its surroundings. It occurs approximately once a month and it's unannounced, meaning that there are no server-wide messages before and when it starts. Amazon set pieces are dropped only by orc warlords. You will find them on the 3rd floor of the tower. Nothing respawns on the top floor of the tower, where the NPC is. You can leave your noobchar there to check the place safely. If you are running to the tower, use invisiblity to get to the warlords as fast as possible. Orc activity near Thais reported! Beware! Several waves of orcs appear throughout the raid. The orcs focus on the city gates. Orc warlords respawn during the last waves. amazon piece is only possible near the north gate, however no one ever proved it to be false or true. 2. 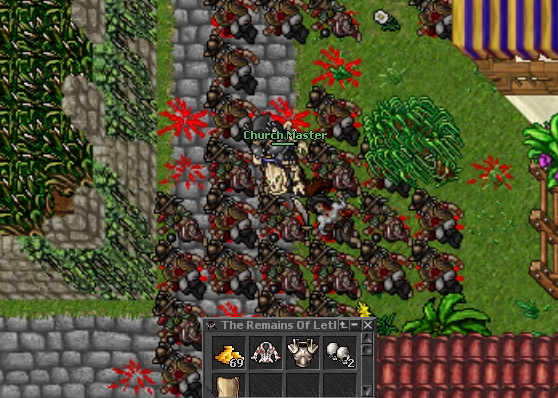 Orc raid on Zao steps and Zzaion. Raid is announced by the messages. An orcish horde, ready for murder and plunder, is amassing to begin its travel through the steppes of Zao. Beware! The great march of the orcish horde has begun! This raid is very specific. 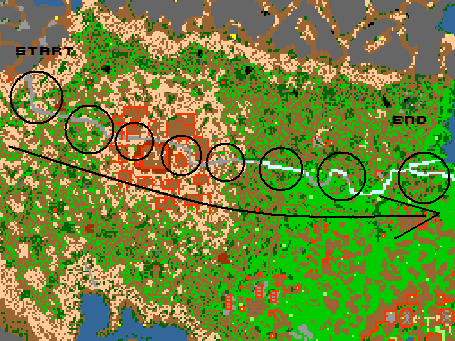 It's supposed to resemble the orc march from western to easter coast, so each wave respawns a bit farther to the east. There are a few minutes to kill each wave before all monsters disappear and respawn to the east. Cublarc the Plunderer is the boss of this raid. It may respawn 3 times during the raid. The 1st one right after the first message, before the march. The 2nd one during 6th wave approx (around the 6th circle from the left, on the map above). And the 3rd one, 30 minutes after the first message, on the east. Wearing a stealth ring might be a good idea to get rid of some of the orcs attention. Be careful as the massive amount of orc marauders can make you lose even 500+ dmg per turn. They are also immune to invisibility. A massive orc force is gathering at the gates of Zzaion. Orc reinforcements have arrived at the gates of Zzaion! The gates are under heavy attack! More orc reinforcements have arrived at the gates of Zzaion! The gates are under heavy attack! 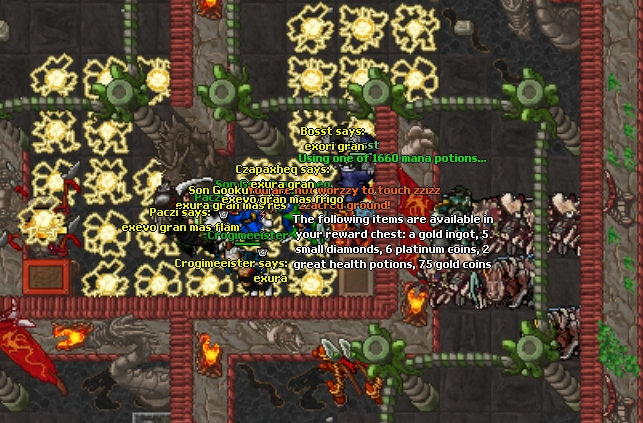 The gates to Zzaion have been breached! Orcs are invading the city! The last message appears exactly 30 minutes after the first. Zulazza the Corruptor and Chizzoron the Distorter respawn then. More orcs have arrived in Zzaion! The city is under attack! Strong lizard leaders have come to defend the city. 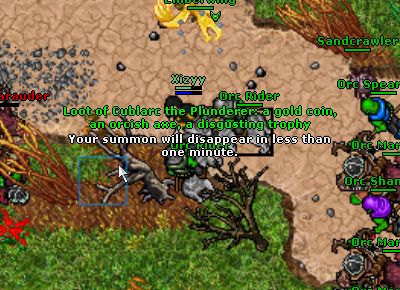 Cublarc the Plunderer can also respawn during the raid. 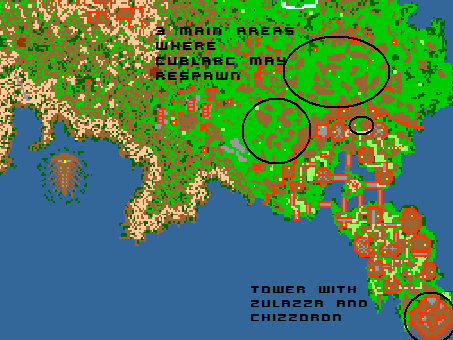 Zulazza the Corruptor respawns on the top of the last and the biggest tower. 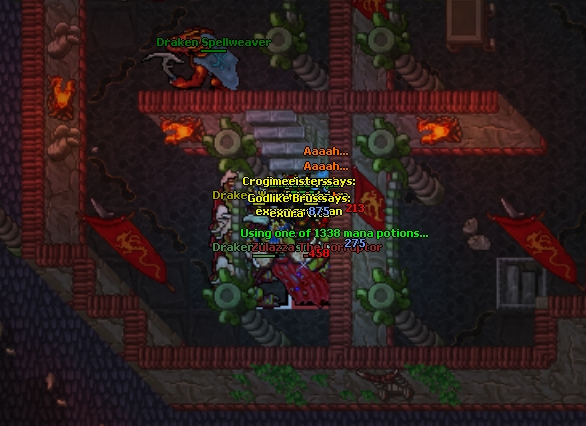 Chizzoron the distorter respawns 2 floors under the Zulazza, at the same time. It's a bit easier to kill and usually more people prefer to kill Zulazza than him. The loot is also significantly worse as it drops only 1 rare - crystal boots, comparing to earthborn titan armor and dragonscale boots dropped by Zulazza. Pirates are launching a surprise attack on Liberty Bay! Take care, they seem to be everywhere. Pirates have invaded the fortress. There are 10 minutes between the messages during which the 3 bosses may appear. The 4th boss - Ron the Ripper can respawn only after the last message. 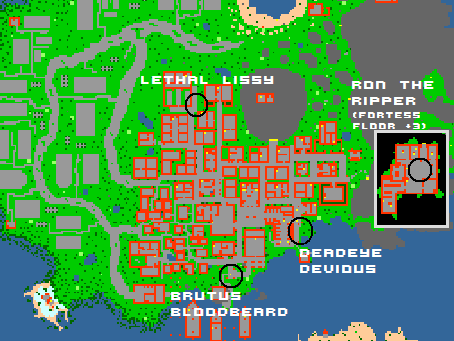 Don't mistake this raid with 2 other Liberty Bay pirate raids as it's the only one with bosses, recognise the raids by their messages.